Iran's president, Mahmoud Ahmadinejad has confirmed that the Stuxnet computer worm affected centrifuges in the country's uranium enrichment programme. Until now, Iran has denied that Stuxnet had caused any damage, saying the malware was discovered before it could have any effect. 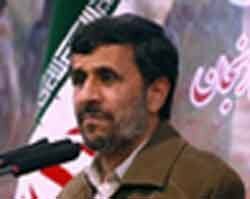 Ahmadinejad admitted that Stuxnet managed to create problems for "a limited number of centrifuges", according to The Telegraph. Early in November, UN inspectors reported that Iran's enrichment programme had shut down temporarily, sparking speculation about Stuxnet's involvement. Hailed as the most sophisticated malware ever found, Stuxnet is widely seen as a prototype cyber weapon. The highly complex Stuxnet code is aimed at infecting and reprogramming industrial control (Scada) systems using multiple techniques and components. Security experts believe that Stuxnet proves malware can cross the line into the physical world to cause damage. The concern is that malware like Stuxnet could be used to disrupt critical infrastructure such as nuclear power stations and electrical power grids. Most modern buildings use industrial control systems for air conditioning, lighting, lift and CCTV systems, making Stuxnet relevant to anyone responsible for IT security in their organisations.